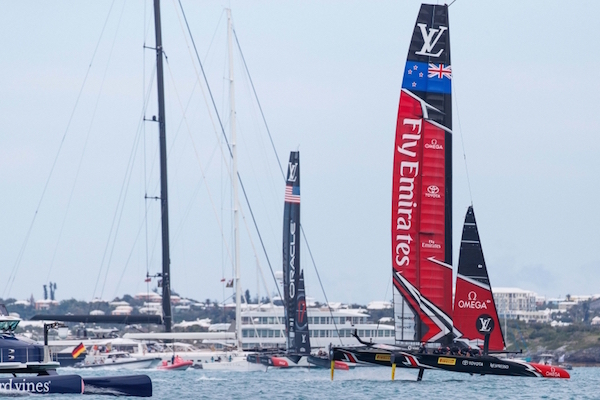 Last week, Emirates Team New Zealand won the 35th America’s Cup in Bermuda, defeating defender Oracle Team USA. Having brought the Cup home, the team will start turning its attention to deciding on a format for the next event, and the Kiwi government will most likely be looking towards how the country can optimise its economic impact. The America’s Cup has a longstanding superyacht following, which boomed this year due to Bermuda’s convenient distance from the superyacht milk run, as well as the effort poured into the dedicated superyacht programme. Almost certain to be on New Zealand’s agenda for the next Cup will be how to maintain this attendance in order to give a much-needed boost to the Kiwi superyacht industry. Since the early 2000s, when New Zealand last hosted the America’s Cup in 2000 and 2003, the country’s new build sector has diminished. 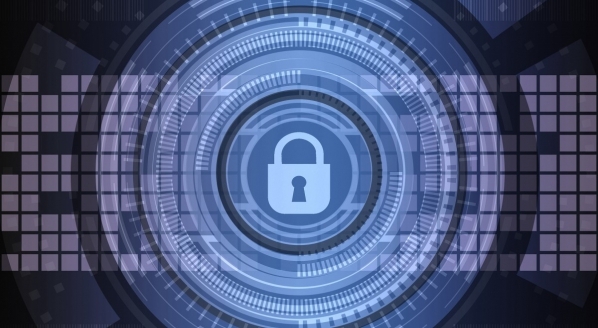 Data collected from The Superyacht Intelligence Agency shows that, pre-2000, New Zealand had contributed 12 per cent of the delivered global superyacht fleet. Following a flurry of deliveries in 2002 and 2003, this representation grew to 16.7 per cent in 2003 (illustrated in slider image 2). However, this was the peak for the Kiwi order book as yards have since struggled to attract projects at the same rate as their global counterparts. 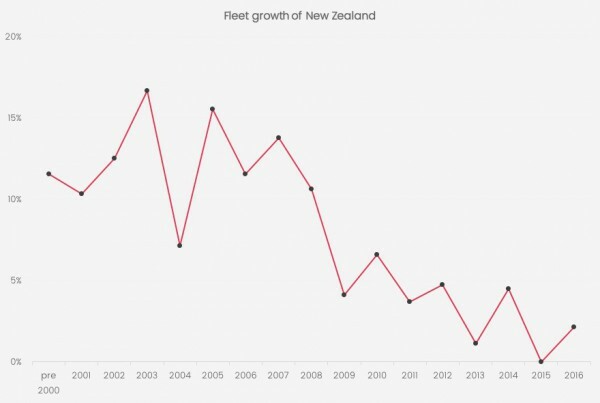 As of 2016, New Zealand's contribution has fallen to only 2.2 per cent of the overall delivered fleet (illustrated in slider image 3). The country currently only has one project in build - a 38.7m sports fisher at Yachting Developments due to be launched in 2017. 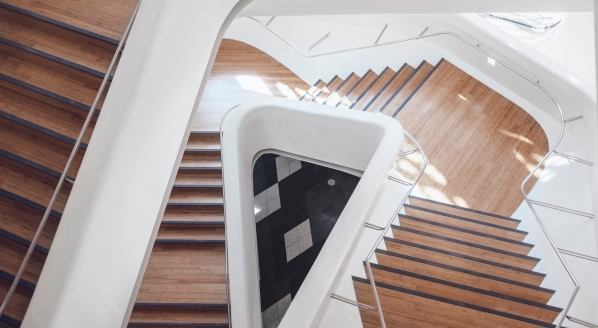 While the new build sector may have plummeted, the refit sector, and those new build yards that diversified to focus on refits, has maintained sufficient business. The country also continues to welcome prolific superyachts to utilise the local infrastructure and enjoy the different cruising options that the region has to offer. According to the New Zealand Herald, the Kiwi superyacht industry is expecting a boost from the next America’s Cup event and tourism chiefs say that the international focus on New Zealand will help their sector. While decisions still need to be made about when and where the regatta could be held, AsiaPacific Superyachts told the local media outlet that a regatta in Auckland would lead to a boost in superyacht visitations and better facilities. Auckland greatly benefited from the last staging of the America’s Cup, which kick-started the redevelopment of the city’s waterfront area, including two superyacht marinas and a refit facility. This infrastructure has been valuable in allowing yachts to stay in the region and capitalise on two summers, while undergoing refit work during the winter. However, Lidgrad adds that another event of this kind in Auckland would need to see a new major development to ensure sufficient infrastructure for an increased superyacht fleet. The benefits of a superyacht presence at the America’s Cup in New Zealand has been proved before. In a report prepared for The Ministry of Tourism on the economic impact of the 2000 and 2003 America’s Cup Defence, evidence of the value of superyachts at such an event is overwhelming. In 2000, the report showed that the superyacht impact was dramatic, substantial and largely unexpected. During the campaign, 80 yachts with a LOA of 25m and over sailed into Auckland for some or all of the summer. 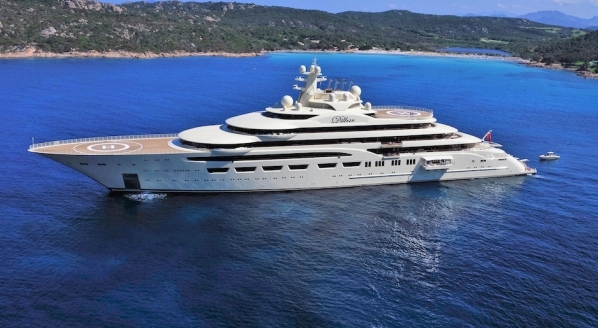 According to the report, this provided a considerable boost to the local marine refit sector as most combined a refit or repaint with viewing the America’s Cup and participating in the coinciding Millennium Cup superyacht regatta. In 2002 and 2003, the report found that an estimated 104 superyachts visited New Zealand. This was a lower than expected turnout for a number of reasons, nevertheless, the numbers comfortably exceeded those attracted for the 2000 campaign. The study identified NZD $523m of net additional spending in the New Zealand economy generated by the America’s Cup over the 2000-03 period that would not have occurred otherwise. Of that total expenditure, NZD $155m was contributed by ‘superyachts and other yachts’. 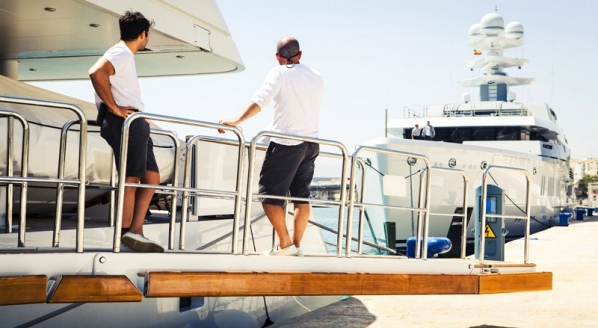 In a report on yacht spend potential in New Zealand, The Superyacht Intelligence Agency found that a large portion of a yacht's OPEX budget goes towards yachting-related businesses. With this in mind, the next America’s Cup holds tremendous potential for the New Zealand superyacht sector. The economic impact will, of course, augment should the event entice more yachts of larger sizes for the next edition. This is entirely possible considering the success of the recent Cup in Bermuda, which saw high numbers of superyachts enjoying the racing. Furthermore, the superyachts attending the next Cup will also be able to benefit from the New Zealand government’s 2014 decision to extend its temporary import entry (TIE) for visiting yachts from 12 to 24 months. Major sports events, such as the America’s Cup, tend to have a positive impact on a country or region due to the investments made in infrastructure and the media attention they generate. New Zealand will be wanting to use the Cup to re-market and showcase itself as a destination. 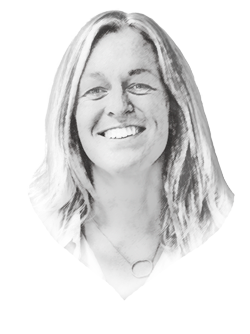 Furthermore, the chance to attract superyachts to the event will provide the kiwi superyacht sector with an opportunity to remind the industry of its capabilities and perhaps spark some momentum back into its new build sector.